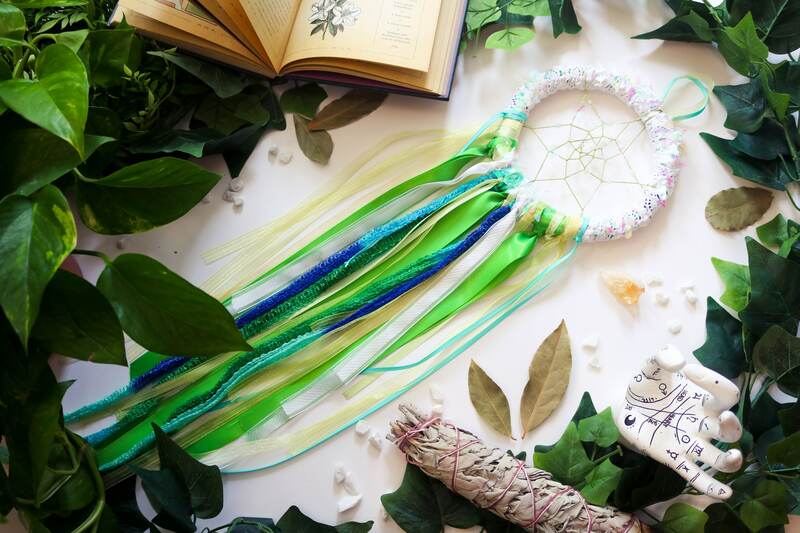 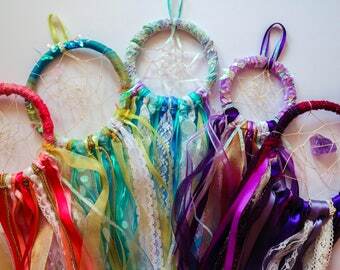 Give some color to your magic with our green and white dreamcatcher! 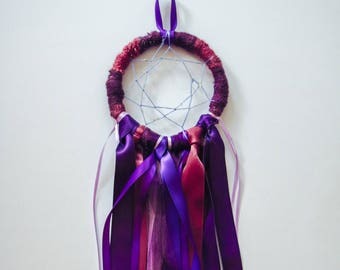 Hand-crafted from twine, thread, lace and ribbon; blessed with apache tear, peppermint and sage. 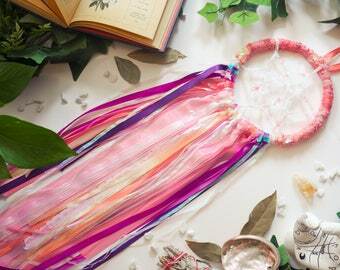 Great for work with healing! 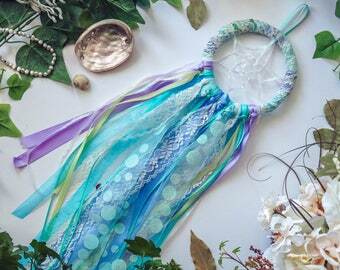 Inner Hoop Diameter: 5" || Tail Length: 20" || Total Length: 26"